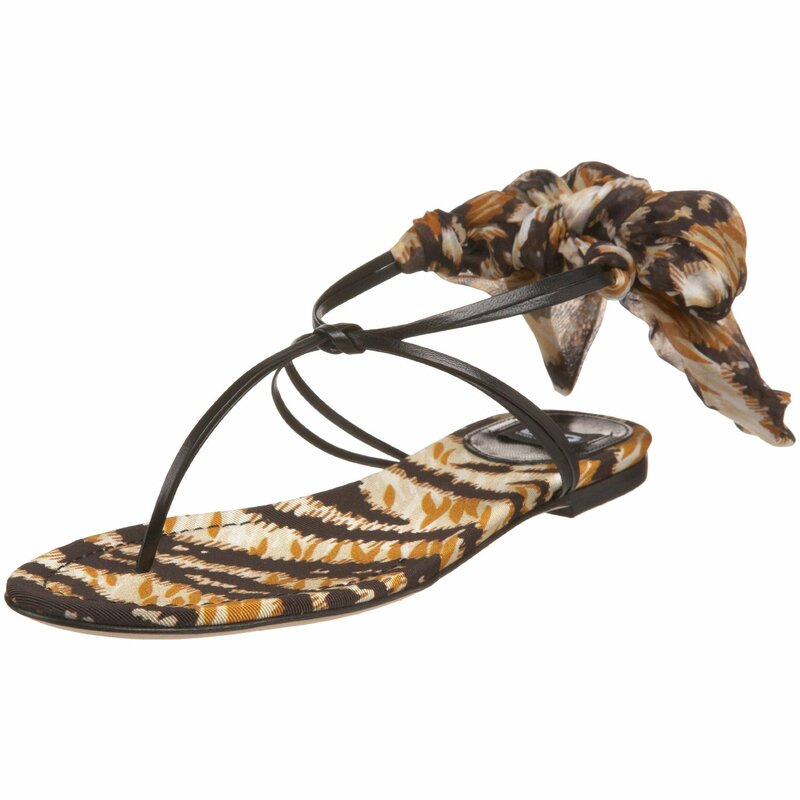 Transport yourself to the tropics in this sensational women’s Tiger print chiffon print T-strap sandal by D&G Dolce & Gabbana. Fitted with oh-so-skinny leather straps and tied at your heel with an animal-print chiffon bow, the feisty–and decidedly feminine–sandal creates a mischievous and spirited ride for your island-bound foot. You’ll adore the cohesive allure of its printed footbed, the wearable delights of its stacked 1/4-inch heel and the bewitching way it infuses everything from short beach dresses to cropped khakis with a sense of exotic style.